Electrical engineer turned hifi DIYer. Then modifier. Soon real-world job quitter to embrace full-time unreal world job. Becomes small-scale audio designer. Demand quickly outstrips production capacity. Adapt or perish. Add full-time employees and new facilities. From beginning to present status of story? Three short years. Vinnie Rossi's is a fantastic entrepreneurial success story. 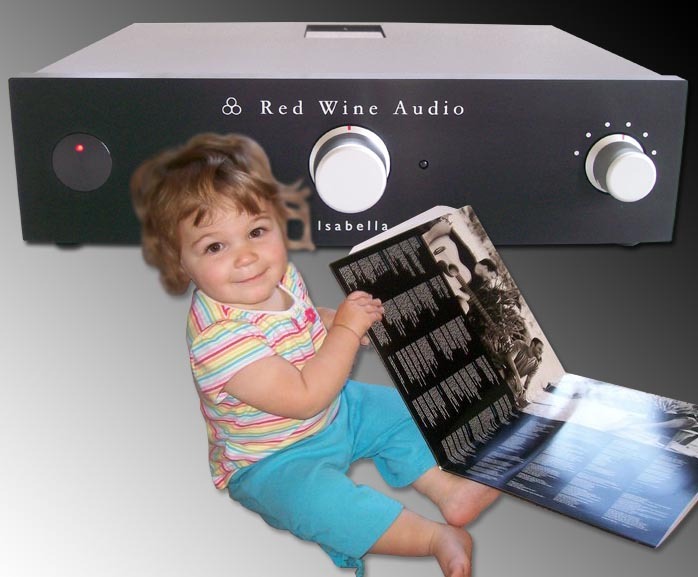 His Red Wine Audio brand is already firmly established as an underground phenomenon. Underground and establishment? It sounds like a contradiction in terms but isn't. One of the reasons must be that Vinnie excels at customer service. He's good at communications, conscientious at managing expectations. The recipe to success in this racket hinges not merely on a better audio mouse trap. There's a lot more to it than a superior gizmo. Vinnie seems to really understand that. But neither is he just a nice cuddly guy everyone likes to do business with. The cheese in his audio mouse trap is top quality. And as his own tastes have become more rarefied and gourmet, Vinnie's been diligent to revisit his core designs and squeeze more performance from their platform. Said platform -- class T amps on batteries -- proved so popular, Firenze Audio and Sutra from Italy, Passion & Sound from Spain and KingRex from Taiwan have caught the same wave since. Apparently keen to remain out front and lead the charge, Vinnie now has authored a much anticipated matching tube preamp with optional NOS non-oversampling DAC. The kicker? The Isabella -- named after his baby daughter above -- runs off SLA batteries without a DC-to DC stepup converter. The stock pair of JJ 6922s (6DJ8, 7306, 7DJ8, 6N23, 6H23 and 6N11 are drop-in options) is driven battery direct, something Mr. Rossi believes is a commercial first. And unlike the Dodd tube preamp which also uses batteries and 6922s, the Isabella runs both halves of each triode. Fond of stepped attenuators -- his Signature 30.2 runs a custom Bent Audio stepper motor board by John Chapman -- the Isabella eschews the DacT or Goldpoint units to offer smooth and continuous manual or remote operation without discrete stops. 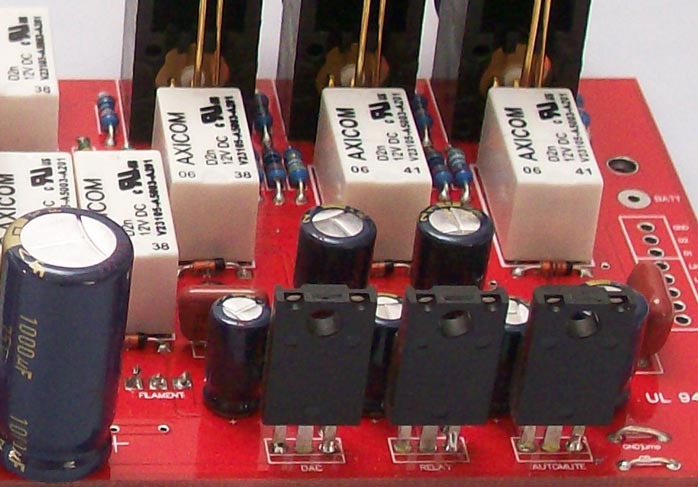 While Vinnie was collaborating again with John Chapman on a 60-step relay-switched custom stepped attenuator board, "the added cost, complexity and 12-16 weeks lead time required for just that part didn't seem like the right choice". Taking his cue perhaps from the ModWright and other high-end preamps, the Isabella sports a motorized "all on one board" Alps pot "for better reliability, greater ease of manufacturability, quieter operation and a smoother feel during manual adjustments. Bent Audio made us a board that contains the motorized Alps pot and associated circuitry for the remote control functionality to fit our space requirements. Even when using the remote, there is an obvious feeling of precise level control. There is also super-silent operation and ultra-low power consumption. The final test was to hear it in the Isabella. It sounded very good and tracked very well so it was a done deal. We are still using the Goldpoint stepped attenuator for the Signature 30.2 and will continue to do so for future production. own signature and this is the fun about tube rolling. We designed the Isabella with easy tube rolling in mind (the sliding glass window on the top cover allows for this with ease as you'll find out). "I do want to be careful about saying that the Isabella is better sounding with NOS vs. stock glass. It certainly sounds fantastic with the JJs and was voiced with them. One does not need to spend big bucks on no-longer-made valves to get great sound with the Isabella. But for those interested in tube rolling, we say go for it! It's fun and with the SLA battery-powered tube heaters and B+ rails, you can really evaluate the sound of each tube without hum and noise clouding your impressions. Some tubes pick up more hum than others but with the Isabella, there is no hum to be concerned with." Red Wine Audio will also release the Isabella DAC as a stand-alone converter with the same three digital (USB, coax and Toslink) inputs, the same discrete active output stage without opamps, enclosure, SMART board and charger. Estimated pricing is $2,500 and the name will be Isabellina. "This is a new-old-stock non-oversampling 16-bit design that implements purist R-2R conversion with a minimalist discrete transistor, class A output stage (no opamps) and zero digital filtering at the chip's current-source output. The USB input converts directly to I²S to feed the DAC chip without intermediate S/PDIF conversion. Only the Tx and Rx pins are used and the +5V line from the computer is avoided, using our own clean +5V supply instead to avoid noise from the dirty computer power supply. 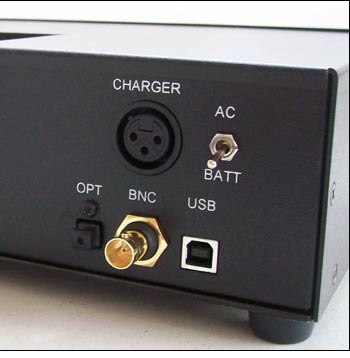 The coaxial S/PDIF input is carried on a Vampire 75-ohm BNC jack followed by a digital pulse isolation transformer to isolate source noise and create precision 75-ohm impedance matching. The Toslink naturally offers isolation from the source component via optical-to-electrical conversion. "The analog output of the converter stage is fed to the tubed preamp stage and the input switch selects between these three digital inputs as well as three analog inputs. As with the Isabella tube preamp, our optional DAC board is completely on off-the-grid SLA battery power. 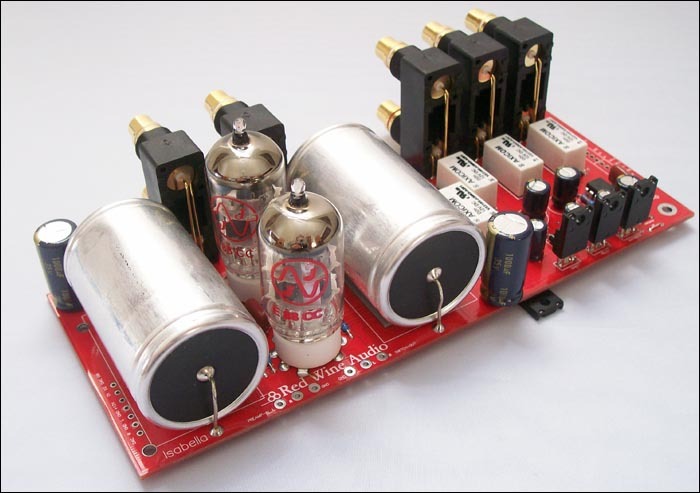 We designed in a dedicated linear regulated voltage supply on the Isabella preamp board. This feeds the DAC board with its dedicated linear regulators for the required lower voltages for the DAC chip and output stage. 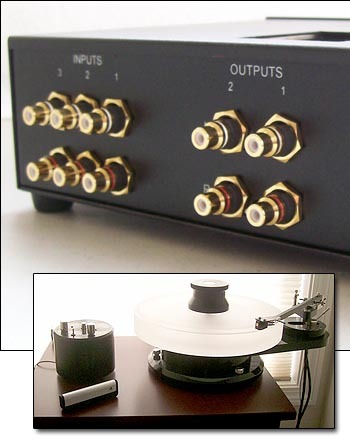 Buying this Isabellina DAC unit and an Isabella preamp without DAC option and connecting them together will be basically the same. But it would require a set of interconnects and cost about $1000 more than buying the Isabella with the built-in converter option. However, some people might only be looking for the DAC and not a preamp (we actually have been asked about this quite a bit), so it fills a spot in our product line." For connectivity, the Isabella offers 3 analog inputs and 2 outputs all carried on PCB-mounted Vampire jacks. The optional DAC module of course adds the aforementioned three digital inputs. There are discrete voltage regulators for the B+ rails, the tube heater, the input switching and auto-mute relays and the D/A module. 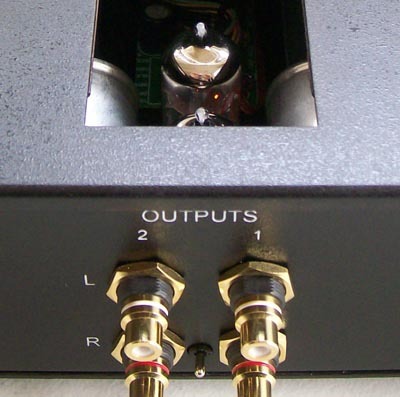 A gain switch selects for 0 or 12dB to create maximum volume control range for various systems. New for RWA is a toggle switch on the rear panel that allows for their signature pure SLA battery feed or AC power (actually, DC power from the charger) for "non-critical" listening such that the battery charging and AC listening can occur simultaneously. "You'll actually find that we do a really nice job filtering the DC power from the charger and since the batteries naturally do even more filtering (think huge storage capacitors), running the Isabella on AC power mode is still very good. Running direct from SLA equals more refinement, blacker backgrounds and no chance of ground loop hum. high quality hook-up wiring as found in our Signature 30.2 and 70.2 for the batteries to the board." Specs and dimensions not yet mentioned include input impedance of 50K, output impedance below 1K and bandwidth of 10Hz to 120kHz +/- 0.5dB. Two 12V 5Ah SLA batteries are wired in series to produce 24V rails and the included universal charger modified to work with the SMART system is a 24V 2,000mA unit. On DC, the Isabella will run a claimed 6 to 8 hours continuous before requiring recharging while in AC mode, playback is obviously unlimited. Dimensions including controls and jacks are 12" x 10" x 3.5" W x D x H.